A potential competition exists between India and China, and there is also no doubt that China started the war. Highlighting the mistakes made by India rather than empirically analysing the available data can be regarded as the primary causes for the confusion that exists today. Though complete details and evidence of the developments are available and documented, few of us have attempted to draw up a pragmatic and realist analysis. The consequences of that war have yet to die down entirely and are frequently raked up with issues on recent developments which are not widely dissimilar to those of 1962. China is a complex country. To understand this rapidly progressing nation is even more difficult. There are many perceptions on this country and many of them are formed on account of some international events and China�s growing assertiveness. It may be far-fetched to expect for a paradigm change in stance and motive which could give China an uncertain negotiating position. This edited volume provides the reader an excellent blend of the historical run-up to the aberration, the military developments and consequences. 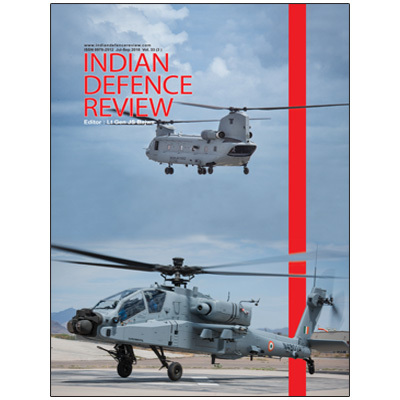 It is also provides useful material to understand the geographical boundary issues between India and China and developing Chinese strategies both on the political and military front. Combat Air Power in Sino-Indian War of 1962: Why Was it not Used and What Would have Been its Effect? Keynote Address Sino-Indian War, 1962: Have We Learnt Our Lessons?